Toyota is the undisputed subcompact and hybrid king of the automotive industry and as the saying goes, the rich are getting richer. Sales of the Toyota Yaris and Yaris Hybrid continue to boom, especially with young car-buyers, which is forcing the Japanese automaker to boost production of the efficient subcompact. The Yaris is currently being produced at the European plant Toyota Motor Manufacturing France (TMMF). The automaker has announced plans to add a third shift to at the plant by June 2014, which will seriously bolster Yaris production in anticipation of strong 2014 sales. The addition of a third shift will bring with it the creation of roughly 500 employees, bringing the total number of employees at TMMF to over 4,000. Toyota also plans to add some Saturday production shifts to the plant. “Sales forecasts have led us to increase production plans by around 15 per cent for 2014, for a total annual production volume of around 220,000 units,” said TMMF president, Koreatsu Aoki. 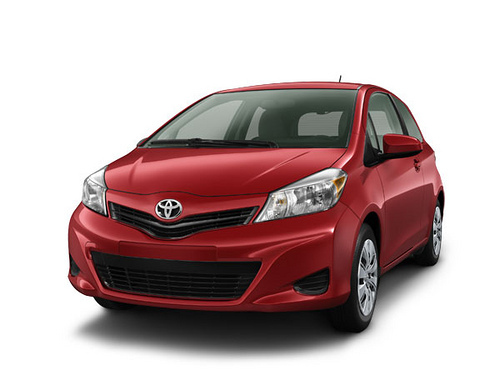 Have you considered purchasing a Toyota Yaris? Let us know why or why not in the comments below!